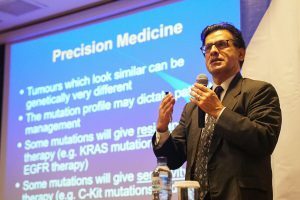 Medical experts in Indonesia have benefited from University of Nottingham expertise at a three-day Cancer Precision Medicine training course. 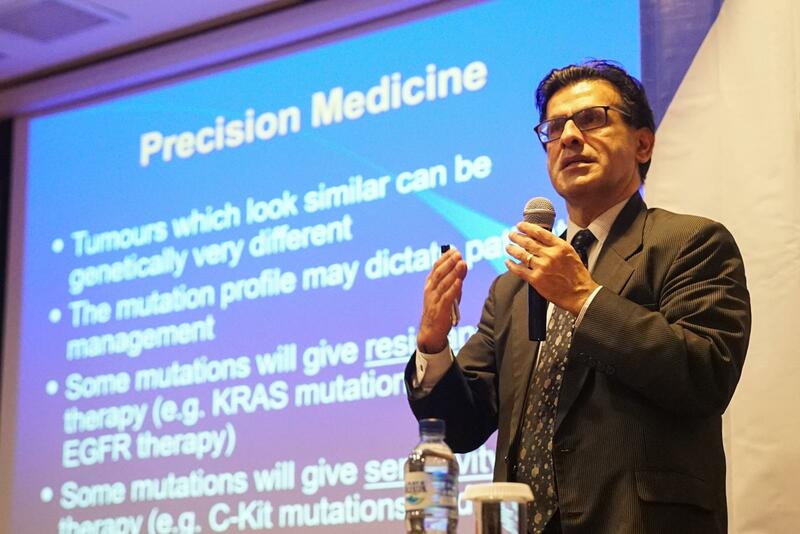 The molecular pathology research group at the University led by Professor Mohammad Ilyas delivered the three-day course to nearly 60 academics from various Indonesian institutions in Yogyakarta. Fully supported by the Ministry of Research, Technology and Higher Education (RISTEKDIKTI) and co-led by the Faculty of Medicine, Public Health and Nursing at Gadjah Mada University (UGM), the training showcased the University as a leading partner in the UK on cancer research and education. Entering the era of industry 4.0, Indonesia requires the advanced technology and drug production which will adapt to individual patient’s needs. In light of these new developments, the Ministry has invested in technological innovation and trained health professionals with a strategic view of implementing precision diagnosis and treatment widely. Future short courses in Nottingham could include more practically focused sessions and hands on training. During this visit, the Nottingham team established links with University of Muhammadiyah Purwokerto as well as industrial partners such as the Stem Cells and cancer Institute of Kalbe Farma, Tbk. These institutions have expressed an interest in collaboration with Nottingham in the near future which may include a joint research proposal, capacity building programmes such as visiting academics and postgraduate scholarships.